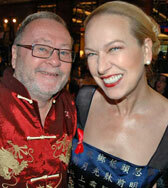 Carmen hosted local celebrities serving dim sum in support of AIDS Vancouver. 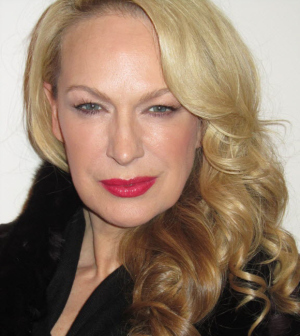 The Courier profiles Carmen as an icon of “Fabulous After Fifty”! Santander se promociona como destino turístico en la televisión canadiense. La ciudad de Santander se promocionará como destino turístico en la televisión canadiense, según anunció la concejala de Turismo, Gema Igual, quien indicó que, en estos días, un equipo del grupo de comunicación Zoomermedia, con sede en Toronto, ha estado en la ciudad trabajando en la elaboración de un anuncio y un programa de media hora de duración que emitirá el canal Joytv. 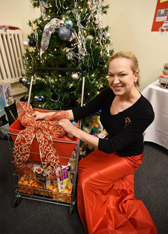 AIDS Vancouver hosted a food drive/celebration on World AIDS Day in support of its grocery program. On the eve of her departure to Israel for the Masada Opera Festival, Marilyn Lightstone, the voice of VisionTV and host of Nocturne on The New Classical96.3fm is feeling reflective. 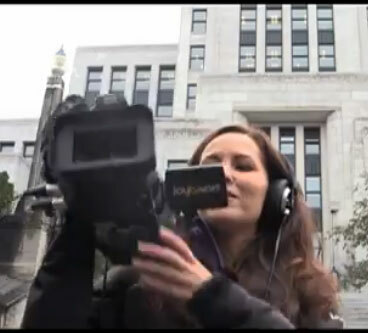 Carmen talks to The Immigrant Magazine on Shaw Cable. 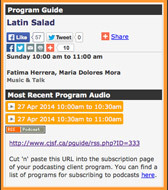 CJSF Radio: Latin Salad show invites Carmen to talk about being Spanish and Canadian at same time. Books To Cooks owner Barbara-Jo McIntosh likely felt like doing handsprings down a Vancouver Club staircase clogged with folk waiting for Spanish superchef Ferran Adria to sign his seven-volume elBulli: 2005-2011. 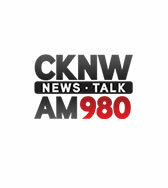 CKNW Talk Radio chats with Carmen about CarmenTV. 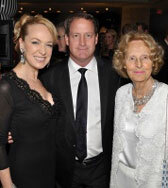 Duane Parks of Zoomer Media’s JoyTV celebrates the launch of CarmenTV at a swish event at Lounge Works. Over 400 guests raised $2 million at the 27th annual Crystal Ball, presented by Beedie Living, held in support of the BC Children’s Hospital Foundation. Proceeds from the gala pushed the Campaign for BC Children total to just over $200 million, reaching the goal for the construction of a new hospital. Follow Carmen on the Aegean Odyssey as she documents the journey from Istanbul to Rome May 7-24. 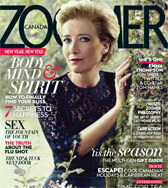 See the ad in The Globe and Mail and Zoomer Magazine! Carmen Ruiz y Laza and Maria Leone prepare to shoot the cover of WE magazine. It’s hard to keep up with this Zoomer as she’s always on the go! 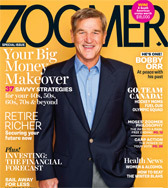 She’s Fit, Fabulous and Zooming through life with the energy of a teenager and the wisdom of someone who’s knows better… That’s how I describe my friend Carmen Ruiz y Laza of Zoomer Media. 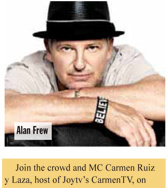 If you’ve never met Carmen before that is all about to change in mid September. Fizzy, clever, and always ready for an oh-why-not? adventure. One part socialite, one part philanthropist, this carpe diem diva grew up in Spain, and can be found, most days, taking her daily, two-hour constitutional around Stanley Park’s Sea Wall. Your personality in 140 characters or less I’m a dreamer with a core of steel. I believe in loyalty to friends, generosity to strangers, and the highest thread count you can afford. As executive account manager for Karma Exchange, supporting Create Change foundation in Ghana, West Africa, and public relations to international luxury brands, you just know she has a way with the word “darling.” One-part socialite, one-part corporate PR diva, this carpe diem diva grew up in Spain — and she’s got the extroverted chops to prove it.